Service execution for asset-heavy operators. Whether you are running a power plant, developing an oilfield, or servicing an aircraft, your critical assets need timely maintenance to ensure consistent uptime. 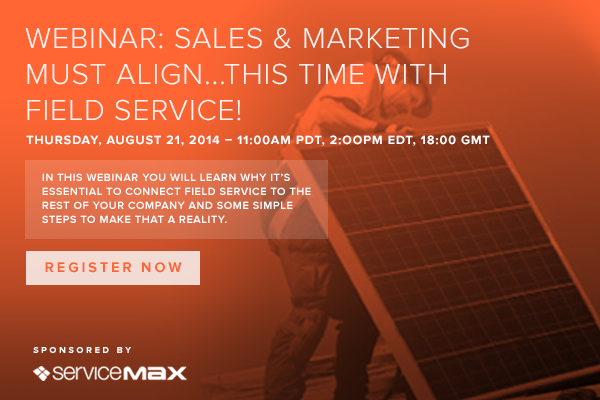 ServiceMax Asset Service Management (ASM) delivers a modern service execution experience built for today’s teams. To get the most out of your assets, it is important to get the most out of the people who operate and maintain them. 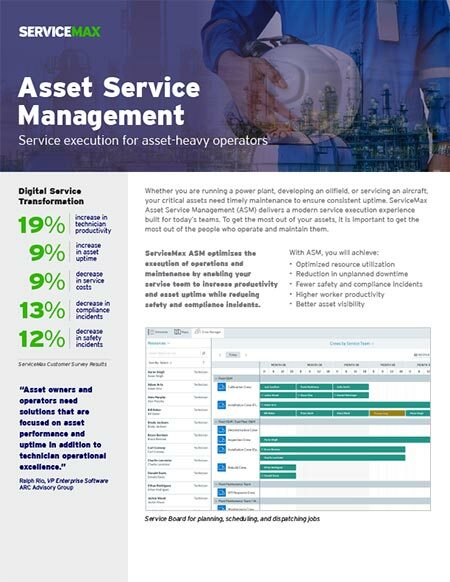 ServiceMax ASM optimizes the execution of operations and maintenance by enabling your service team to increase productivity and asset uptime while reducing safety and compliance incidents.